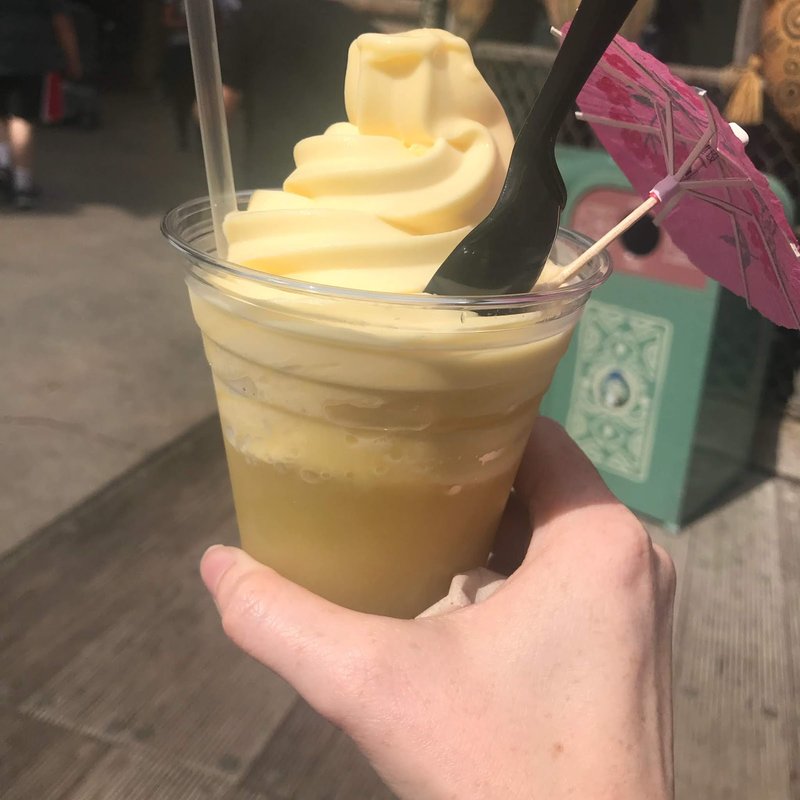 Danni Laura: A Disneyland Resort Food Diary. 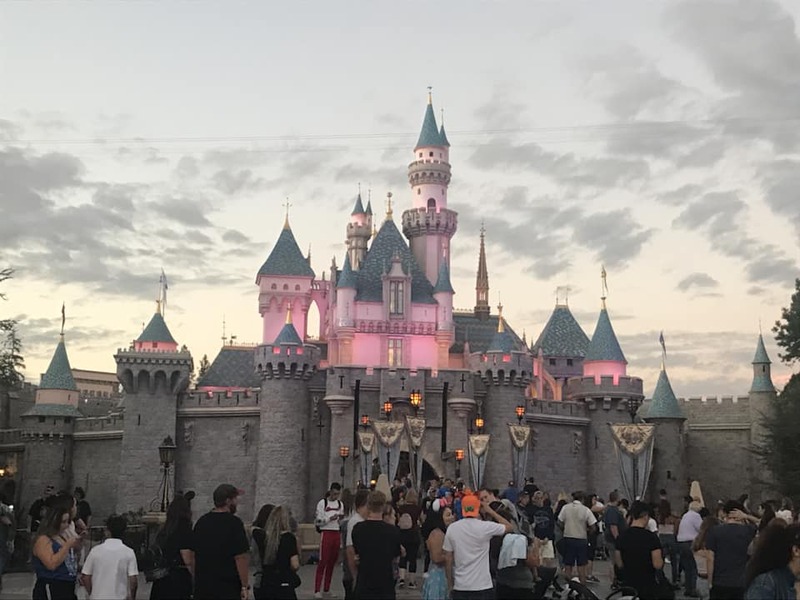 My only other experience of a Disney park before visiting the OG Disneyland was a day in Disneyland Paris. If you've visited Disneyland Paris, you'll know that the food on offer there are pretty basic theme park offerings. My mind was blown at the difference between the Anaheim and Paris food quality. We had five day tickets but only used them for four but that's more than enough days to do a little food diary post. We booked a table service restaurant in each park 60 days in advance. For Disneyland, we made reservations in Cafe Orleans. The Monte Cristo available is often cited as a Disneyland must eat. The normal Monte Cristo contains turkey, ham and swiss cheese but we went for the three cheese Monte Cristo which is swiss, mozzarella and double creme brie. 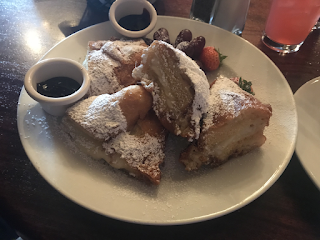 The Monte Cristo are deep fried in a light batter, topped with powdered sugar and serves with a berry puree. 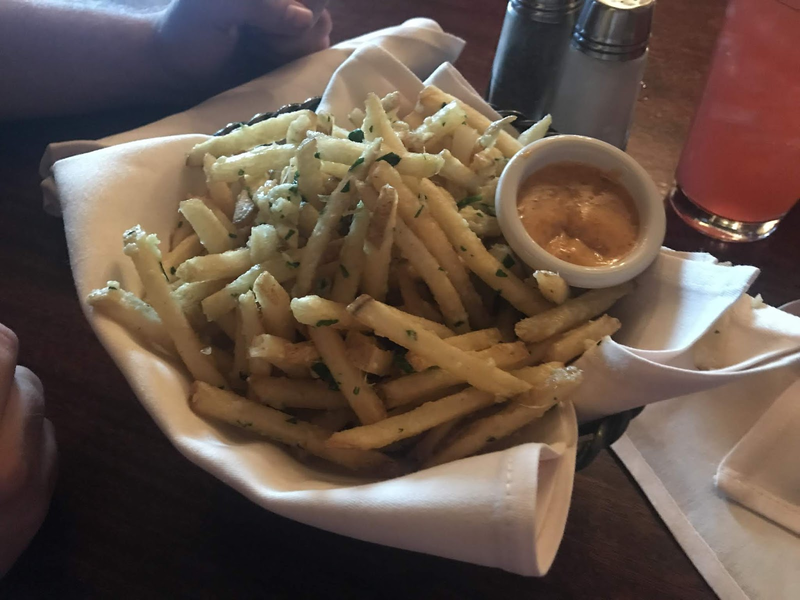 We also had the pomme frites, which are french fries tossed with garlic, parmesan and parsley and come with a pot of cajun remoulade. we had one of each and shared them between the two of us and it was more than enough. This is one of the most popular restaurants in Disneyland so reservations are necessary as they weren't accepting anyone without them when we visited. 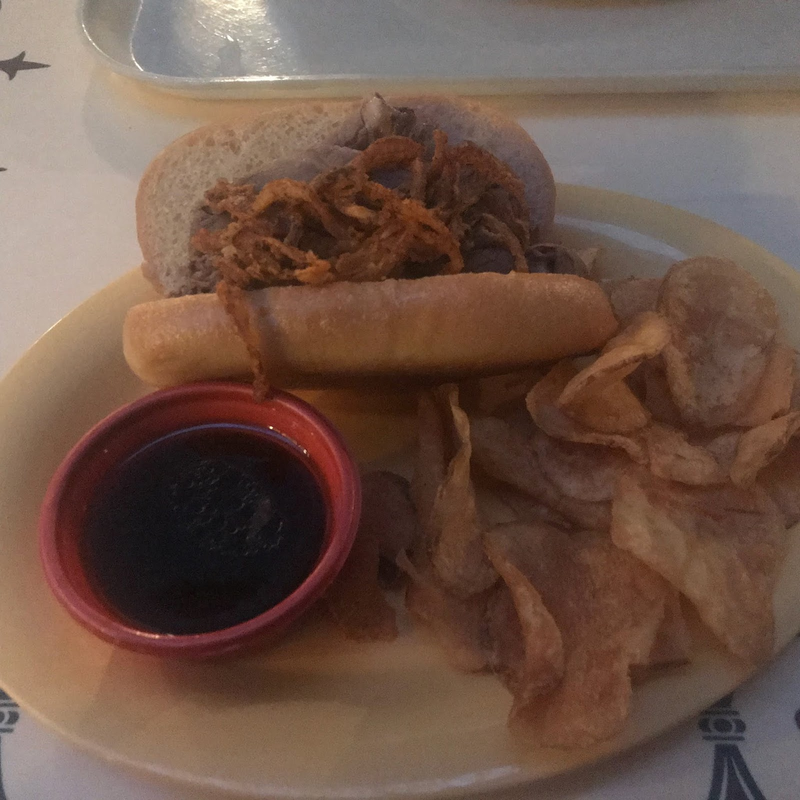 Another Disney must eat, this one isn't just limited to Disneyland as this is also available at WDW. I went for a Dole Whip Float rather than just a standard Dole Whip as Pineapple juice is one of my favourite drinks. This was really refreshing as it was hot (at least for us Brits!) when we visited. This is available from the Tiki Juice Bar. 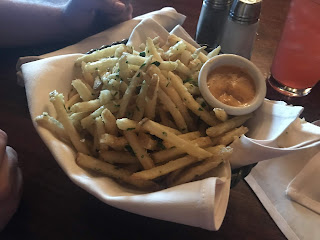 We also ate at French Market restaurant which is a quick service restaurant is New Orleans Square near to Cafe Orleans. We both had the French Dip Sandwich which comes with in-house seasoned chips and au jus. This was amazing quality for quick service and inside is set up cafeteria style, so they make the sandwich right in front of you. We couldn't go Disneyland and not get something sweet from Candy Palace and Candy Kitchen on Main Street! Glenn was the chocolate fudge two nights in a row he liked it that much. 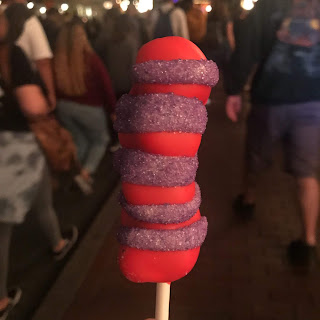 I had a Cheshire Cat Marshmallow wand. We visited during Halloween at Disneyland so there were extra food and treats on offer especially. One of these was the Mickey Mummy Macaron, from the Jolly Holiday Bakery. 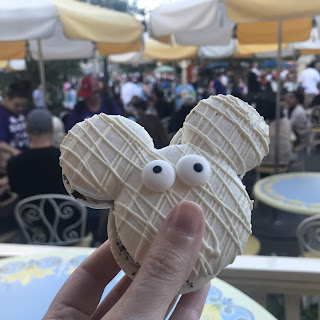 The macaron was cookies and creme flavour. It was great but too big for me to finish. Another quick service restaurant we ate at was Red Rose Tavern. This is in Fantasyland and is themed to Beauty & The Beast, so trying The Grey Stuff is a must! 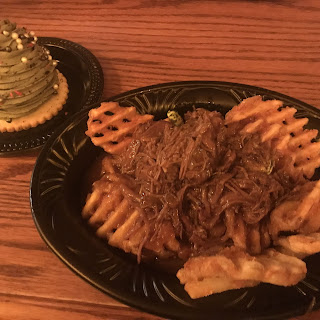 We also a Slow Cooked Beef Poutine each, which was really filling for the price. 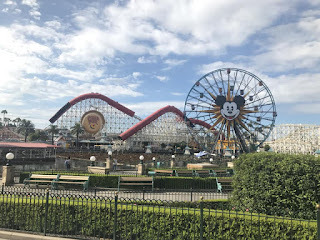 We ate at Disneyland most but Disney California Adventure still had some really great places to eat. I really wanted to eat at Pacific Wharf cafe as they had a bacon and cheddar soup for the Halloween period but we didn't get round to it. The table service we made reservations in advance for was Wine Country Trattoria. 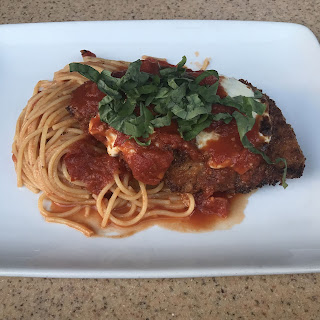 This was the priciest of all the places we ate at in Disneyland but it was worth the money. Glenn had steak and I had Chicken Parmesan. We both had desert too. 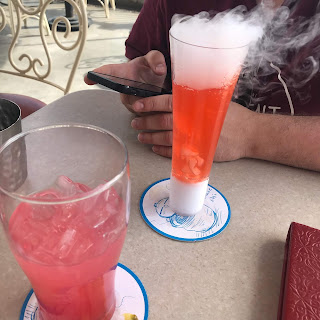 The cocktails here are really strong! 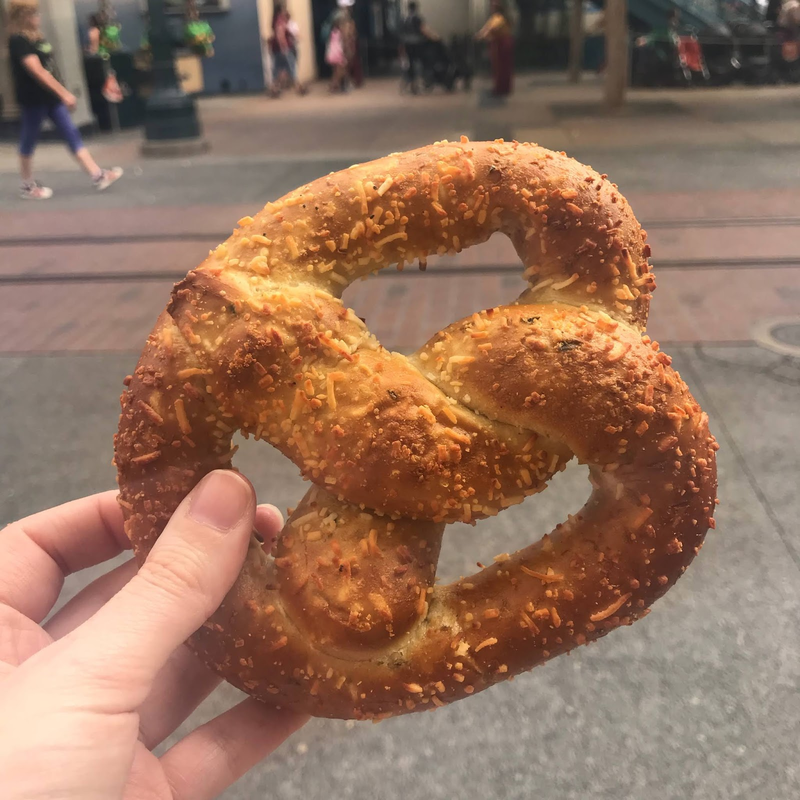 Mickey Pretzels might be more instaworthy but we both had a jalapeno cheese filled pretzel each instead. 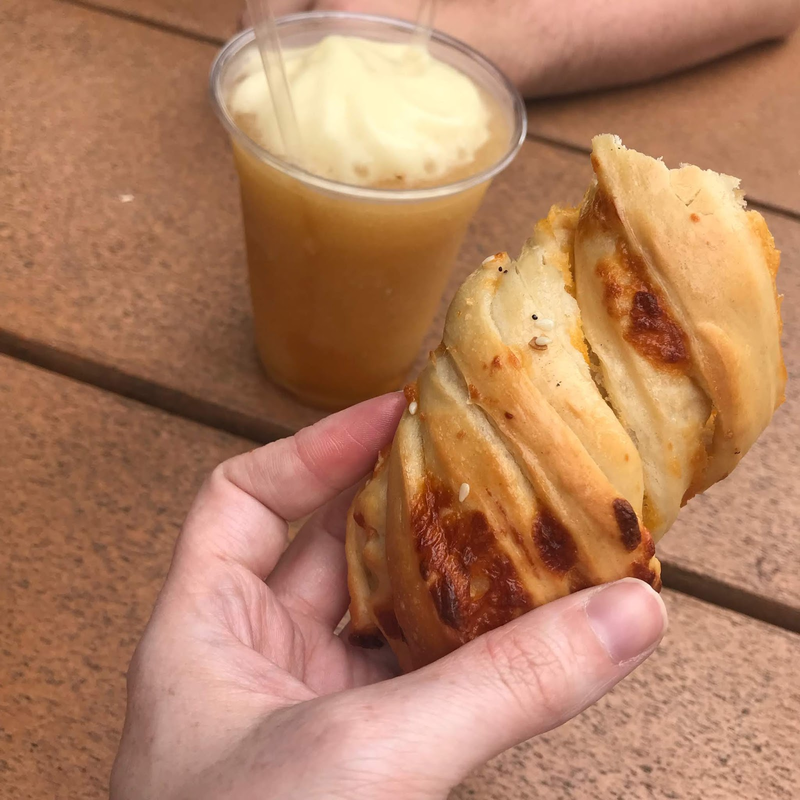 As if one cheese filled bread wasn't enough, we split a Cheddar Garlic Bagel Twist an hour later from Cozy Cone Motel. We also tried Red's Apple Freeze which we weren't really a fan of. 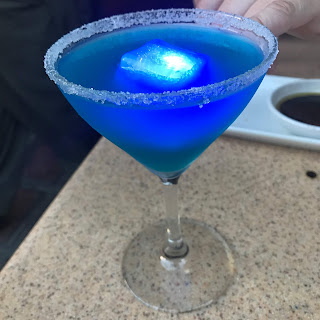 We had drinks at the Lamplight Lounge. Food is available here but we stuck to drinks. There's so many to choose from but again, the drinks here are strong! 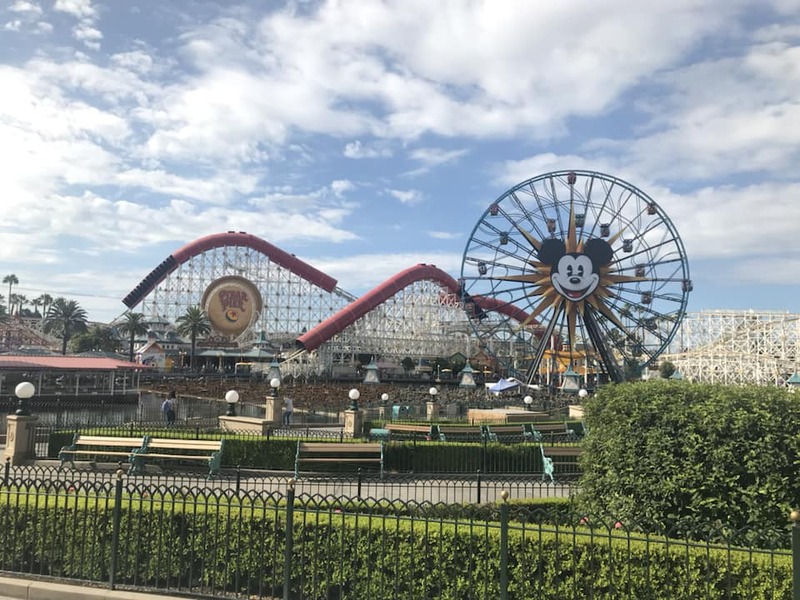 Have you ate at any of these places in Disneyland? Let me know in the comments below!